Rub Jergons Lotion all over your dog Then wipe the dog with Paper towels Until the lotion is gone. Here is a tip contributed by Jonathan from Tulsa, OK. Tired of having your dog’s long hair entangled mercilessly in your carpets and rugs? Well heres a way to end that problem for good. If you have a hard kitchen floor, simply get a baby gate and confine your lovable little demons to the kitchen. This will keep shedded coats within easy cleaning distance, and the dogs probably won’t even notice the decrease in freedom. After I partitioned my house with a baby gate, the house became considerably more clean and dust free. We own several birds and this tip is what i tell friends. As close to the kitchen trash can as possible, spread several layers of newspapers on the floor covering at least one foot more than the size of the bottom of the cage. 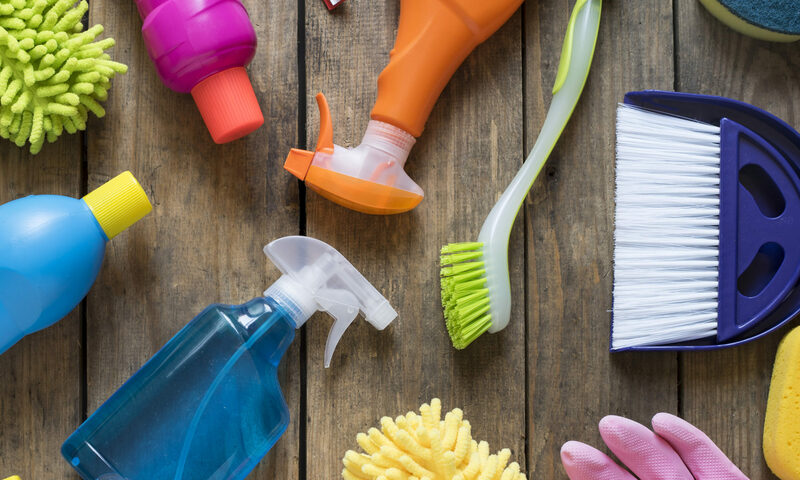 Remove all toys, water dishes and food dishes and soak in hot soapy water. Although it is preferable to move the bird to another cage while doing this it is not inappropriate to leave it in the cage. Move the cage to the newspapers on the floor and remove the slide bottom of the cage and everything will fall right on the papers. Wash the tray and return it in the slot and then put the tray protectors (we use wood chips) in. Return the clean toys and wash and return the food dish and water dish with fresh water and food. Return cage to where it belongs and just roll up the papers with all the crud on it and put it in the rubbish. End of clean up. Here is a great tip on birdcage cleaning submitted by JudithWe own several birds and this tip is what i tell friends. As close to the kitchen trash can as possible, spread several layers of newspapers on the floor covering at least one foot more than the size of the bottom of the cage.Remove all toys, water dishes and food dishes and soak in hot soapy water. Although it is preferable to move the bird to another cage while doing this it is not inappropriate to leave it in the cage. Move the cage to the newspapers on the floor and remove the slide bottom of the cage and everything will fall right on the papers.Wash the tray and return it in the slot and then put the tray protectors (we use wood chips) in. Return the clean toys and wash and return the food dish and water dish with fresh water and food. Return cage to where it belongs and just roll up the papers with all the crud on it and put it in the rubbish. End of clean up. A cage that is difficult to clean is an unsafe cage. When cages are hard to clean, people tend to procrastinate. Cleaning is postponed until the cages are filthy. This increases the likelihood of bacterial and fungal contamination — not to mention it is ugly and messy. Any feces or food should be wiped off of the grates, bars and apron daily. Stubborn dried-on organic material can be sprayed with hot water from a plant mister, allowed to soak for a few minutes and then will wipe off easily. These areas may be wiped down with a mild disinfectant and rinsed off. However, this must be done daily or it will be come more difficult with each passing day and soon a major clean up and strong disinfectants become necessary. Papers used to line the bottom of the cage should be picked up every day. The best time to clean the cage is just before the bird is put to bed, so that the cage stays clean as long as possible. Dust cage surfaces weekly and do a thorough cleaning once every three months. These cleaning methods apply when the bird is healthy. If a sick bird is involved then a much more aggressive cleaning and disinfecting regime must be implemented. Cages should have aprons to help contain any mess inside the cage. Stainless steel cages or cages with powder coat finish are the easiest to clean. A large sheet of Plexiglas (very reasonably priced) can be attached to the wall near the cage. It is attractive and easy to clean. Cages with horizontal bars are difficult to clean. They are nice for clumsy baby birds. Yet, if the bar spacing is correct it is not necessary to have horizontal bars on the cage of a healthy adult bird. Since you can’t bath your budgie, try this! Thoroughly wash a sprig of fresh parsley then tie the wet sprig to the inside bars of your budgie’s cage. He will roll against it, peck it and clean himself! Check the food you are feeding you pet. Beet products will cause red in tears that stain white fur. In cats, excessive discharge from an infected eye can actually stain light colored fur reddish brown! There are mutliple causes of eye infections in cats, many can be treated, however some are also indications of very serious health concerns and CAN be fatal. The best course of action is to visit your vet as quickly as possible. Aquarium filters are marvelous devices, saving aquarists a lot of work as they collect waste products for easier removal. But that “removal” remains the hobbyist’s job, and one that should not be taken lightly. Nearly all filters, even so-called “biological” filters like undergravels and certain slow-flow canisters, perform “mechanical” filtration; that is, they collect a certain amount of solid waste. Some, like most power filters and fast-flow canisters, are specifically designed to collect such waste efficiently, rather than allow it to accumulate in the aquarium. But collecting waste is only the beginning, with removal and disposal completing the picture. Is it good enough to just collect garbage in the kitchen wastebasket indefinitely, without ever taking it out to the garbage truck? (Men and teenagers: ask your wives or mothers if not sure about this.) Well, it’s not good enough to simply put a filter on an aquarium, and consider the job done. For one thing, aquarium filters often double as circulation/aeration devices. As they become clogged with waste products, their flow rates drop or even cease altogether, drastically reducing the amount of dissolved oxygen available for the livestock. In extreme cases, whole tanks full of fish can be lost in a few hours. Under less drastic circumstances, fish can become more prone to disease and overall health and growth can be diminished. But even if there is adequate circulation from other sources, there’s no good reason to allow filters to become overloaded with waste. Rotting waste in a filtration device fouls the water every bit as much as rotting waste in the aquarium itself. In fact, it can be said that a filter isn’t a filter unless it’s cleaned. General Info: A dirty cage brings more potential for infection and sickness for your hamster as bacteria grows freely in a dirty wet environment. Clean the cage floor twice a week by removing the litter and cleaning the inside of the cage completely. 1. Place newspaper all around and under the cage. Remove toys, wheels, food trays, etc. 2. Remove all the bedding and clean the bottom using the animal safe cleaner and rinse with water. Roll up the newpaper with all the bedding and throw in garbage. 3. Clean all the toys, food trays and wheels. Do not use soap on food trays just warm or hot water and a rag or sponge. 4. Never use phenols or carbolic acid type cleaning chemicals like the kind you might find in the grocery store. They contain chemicals that are harmful to your pet. 5. Always follow the instructions on any chemical you may buy for you pet. If you clean on a regular basis it will reduce the need for alot of chemicals keeping your pet safer.